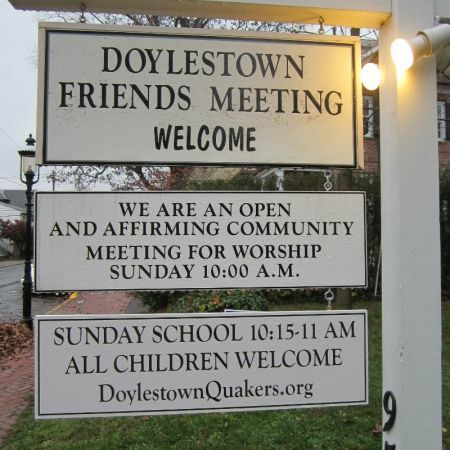 Welcome To Doylestown Friends Meeting! The central belief of Quakers is that there is a spark of the Divine in every person. 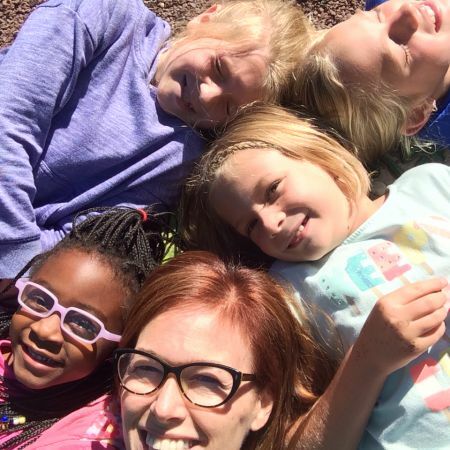 From that concept flows the traditional Quaker concerns for nonviolent conflict resolution, respect for each human being, and the belief in everyone’s ability to have a direct, living relationship with the Divine. 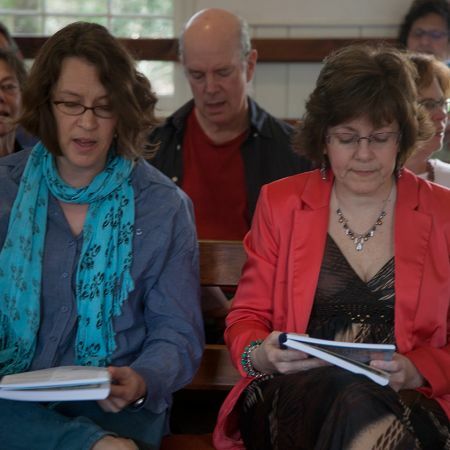 At Doylestown Friends we meet for worship on Sunday mornings in the Meeting House at 95 E. Oakland Avenue in Doylestown, PA. We seek to be receptive to the Spirit within ourselves and others. We are an open and inclusive community, and guests are welcome.